Gossip! Rumors! What Is Nintendo's Track Record? Earlier this week in an uncharacteristic move, the president of one of Japan's biggest companies, Nintendo's Satoru Iwata, hopped on Twitter to address "gossip". "By the way," Iwata tweeted, "on Monday there was an inaccurate report online. This sort of thing has continued repeatedly, with no context, self-serving language, and the blurring of truth and fiction. I'm astonished to see gossip magazine techniques being used." Here, Iwata is apparently addressing an article that appeared in Japan's Nikkei. In the article, Iwata is quoted as saying if Nintendo stayed the way it was headed, the company would collapse: "If we keep going like this, we'll collapse." The article also mentioned a 3DS version of Seaman, the cult Dreamcast title. Such a game has not yet been made official. This is odd, because here is the president of a major company addressing a "rumor". That's not his job—it's a PR person's job. And it's not the first time that Nintendo has called out the Japanese media for printing what it calls "rumor" and "speculation". With twenty-twenty hindsight, those past incidents shed light on who exactly is being forthright—and who isn't. One infamous incident occurred in Jan. 2010 when the Asahi Shimbun reported that Iwata mentioned a DS successor, which had not officially been announced at that time. In the Asahi interview, Iwata reportedly said the successor will have "highly detailed graphics, and it will be necessary to have a sensor with the ability to read the movements of people playing." 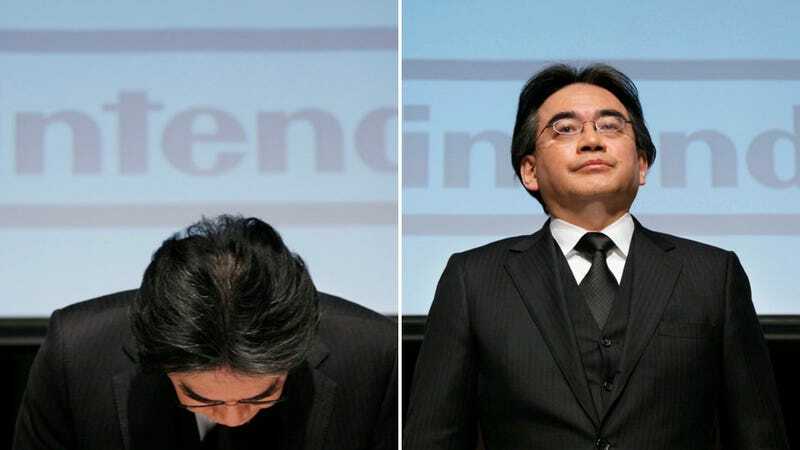 Nintendo came out and said that Iwata's comments were "misinterpreted" by the Asahi Shimbun and that he "did not make any comments regarding the functions of Nintendo's future hardware systems." Sister site Kotaku Japan contacted the Asahi Shimbun, who stood by its reporting. When the 3DS was finally unveiled later, it had both "highly detailed graphics", a gyroscope, and an accelerometer. The Asahi Shimbun's story was correct. But this sort of back-and-forth between Nintendo and the Japanese press wasn't an isolated event. In Oct. 2009, the Nikkei reported that Nintendo was releasing a larger DSi, with two four inch screens. Shortly thereafter, Nintendo replied that the Nikkei article was "speculative". On Oct. 29, Nintendo revealed the DSi XL, a larger version of the DSi with two 4.2-inch screens. Likewise, the Nikkei story was correct. The Nikkei's track record is generally pretty good. While it did get a lot about the 3DS wrong ("improved battery", ha! ), it's nailed other scoops, whether they've been Nintendo related or not, such as Sony's gaming phone—which happened. The Japanese press, of course, isn't always right. Neither is Nintendo. The Kyoto-based game company is often keeping its cards close to its vest, as not to disrupt product launches. Sometimes that means flat out denying articles; other times, it means throwing reporters under the bus. This latest story that Iwata may be referring to could be untrue. Then again, it could be very true. As Nintendo's rumor track record shows, we'll know all in good time.